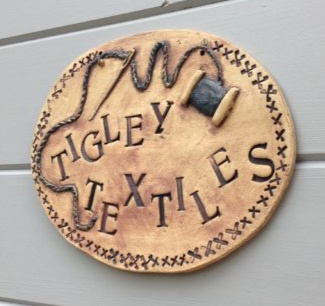 The ever so cosy Tigley Textiles studio sits in the heart of rural Worcestershire, often full of chaotic mess, chatter and laughter. 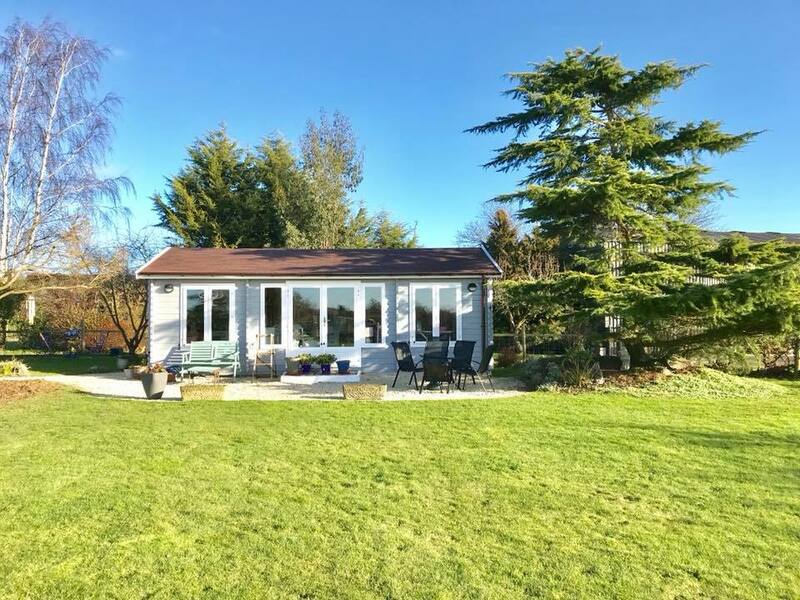 It perches proudly in the spacious garden and has wonderful countryside views of Bredon hills. The double doors at the front can be thrown open in gay abandon so that the room feels spacious and light. The walls are adorned with textile pieces and mood boards are dotted around to give inspiration when needed. 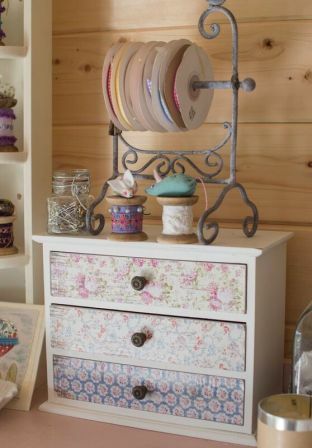 It’s well equipped with poplins, organzas, buttons and beads, and snippets of vintage linens. 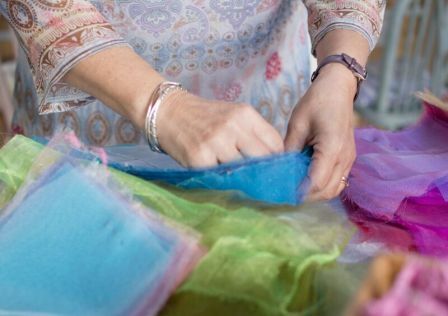 Fragments of old dyed lace are spilling out of every box. The little mouse bobbins watch every move whilst they chuckle away to themselves. On the tables are ongoing half stitched current pieces. There are piles of fabrics and threads everywhere – easy to grab whilst playing and exploring with overlapping textures. In the corner is the sink with teas, coffees and the obligatory cake and biscuits- hard to resist on a day when creative juices are flowing. This is the place where anyone can go to at any time to help themselves to refreshments, so it’s usually full of chatter and laughter, as people relax in between concentrating on their creations. 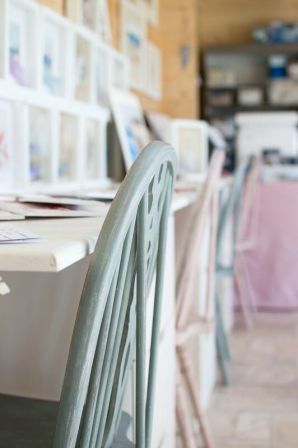 The tables and chairs have been up-cycled with the help of Annie Sloan. 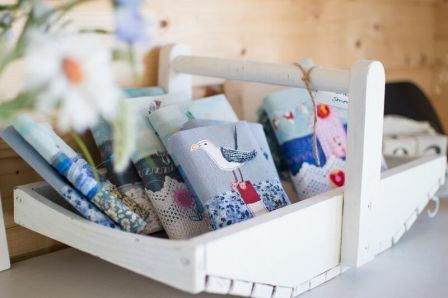 Gorgeous shades of cream, pinks and duck eggs blue- the Tigley colours. The seat pads have all been machine embroidered with colourful quirky illustrations and motivational quotes- yes, you are allowed to sit on them! Plonk and wriggle away! All you can hear are the birds singing and the distant sound of farm machinery in the nearby fields. The perfect setting for relaxation. 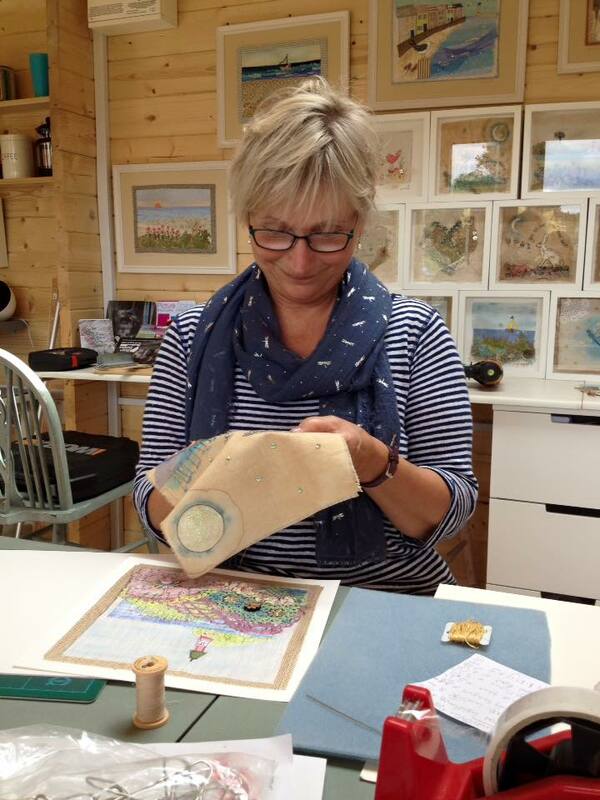 After the initial explanations and demonstrations, folk chatter and giggle as they immerse themselves into their stitched creations- always taking away a finished, and often, framed piece, ready for compliments galore once home again. 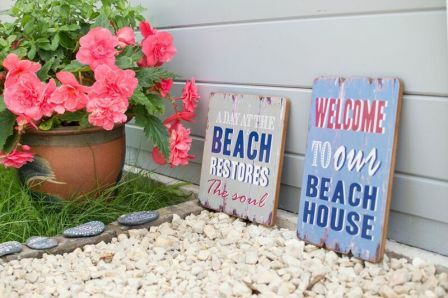 So please come and visit anytime- Julie would love to meet you at a workshop or if you just want to pop in and say hello beforehand, contact her and arrange some time together.